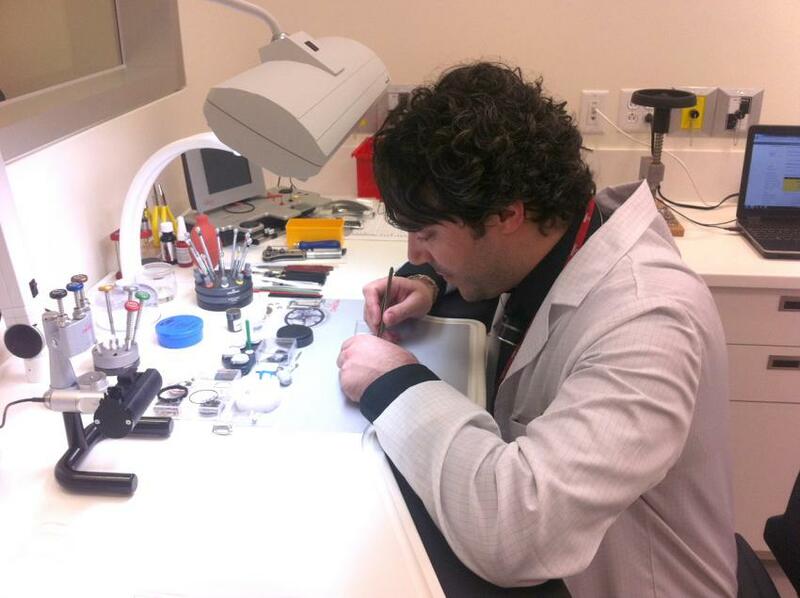 The phone number of the Swatch Group Service Center in Montreal is (514) 447-3074. As mentioned earlier this week, Swatch Group opened a customer service center on De La Montagne Street, in the heart of Montreal. Tuesday night, they have thrown and open house event, which was the ideal occasion to have a closer look and meet the staff. 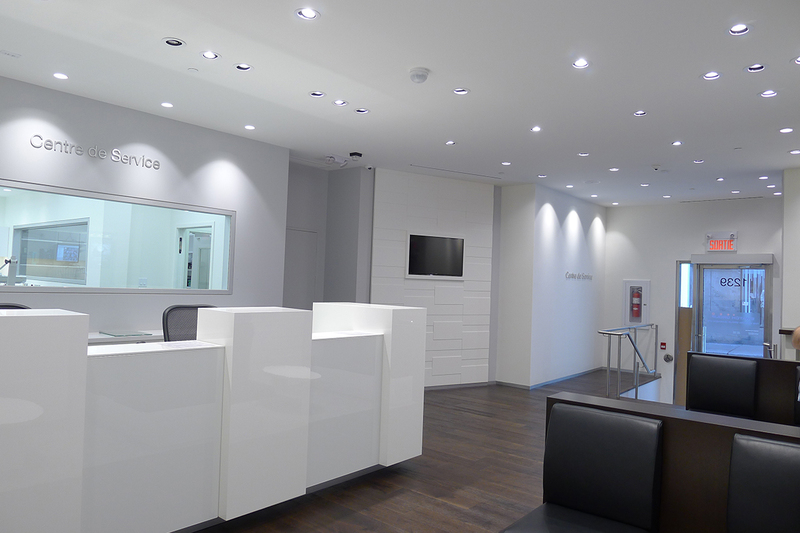 The service center is designed to be a place for watch owners would come in and while their timepiece is looked after, they can relax while browsing a magazine or a watch catalogue. Behind the counter a large window let you have a peek inside the well-equipped workshop, where a certified watchmaker is busy performing his magic. If I may paraphrase Neil Armstrong, this is one small step for Swatch Group, one giant leap for Montreal and the Eastern Canada in general. While the official announcement was made the same time we broke the news, the center actually opened in the beginning of May and to their surprise, these first weeks proved to be quite a busy time, with plenty of work. If this paste continues, Swatch Group Canada is ready to expand the center bringing in a second watchmaker and even more people down the road, if necessary. They have the space; it is only a question of demand. Here is a full list of some of the brands that they will service: Breguet, Blancpain, Glashütte Original, Jaquet Droz, Omega, Longines, Rado, Tissot, Hamilton and Calvin Klein. Please note that while they will take in charge all these brands, anything higher end than Omega that needs repair will be sent to Switzerland.